SV8715 : Posts and stones by the Bryher coast path! Posts and stones by the Bryher coast path! 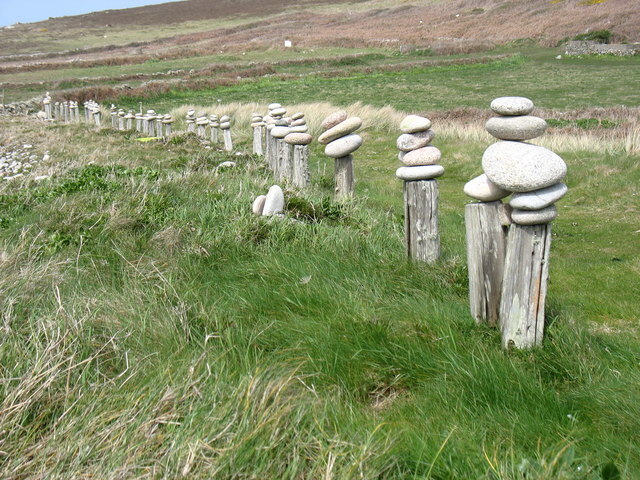 On some of the smaller islands of the Scillies, it is common to see piles of stones like these. Some piles are quite tall and well balanced. It is good that there are still a few places left where visitors do not instantly knock them down.